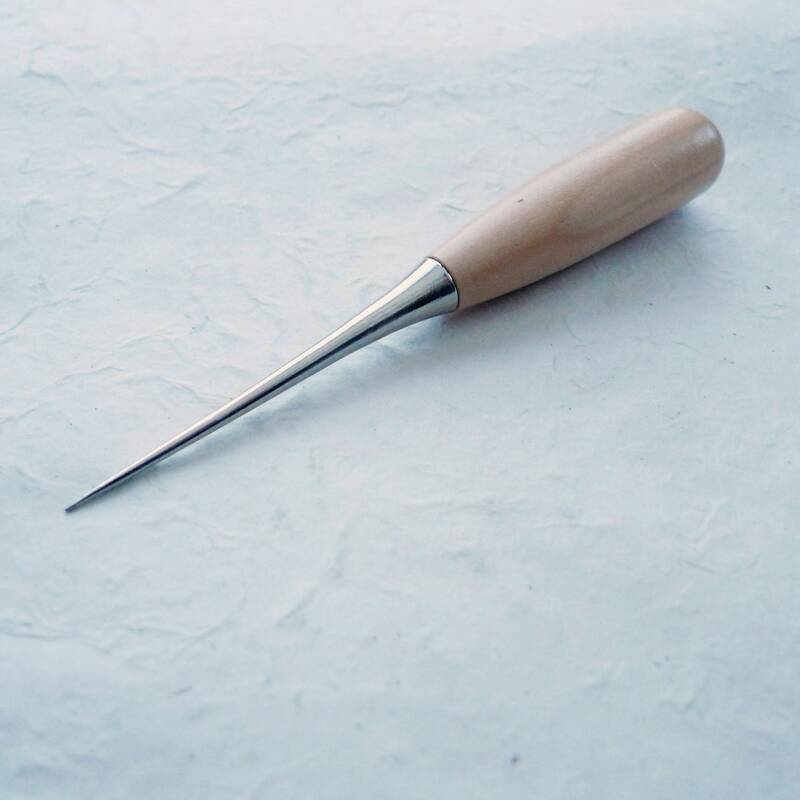 Easy to use wooden handle paper awl great for punching holes through book board, layers of paper or leather as well as for use in sewing, beadwork and other craft projects. The precision hardened steel points maintain sharpness. 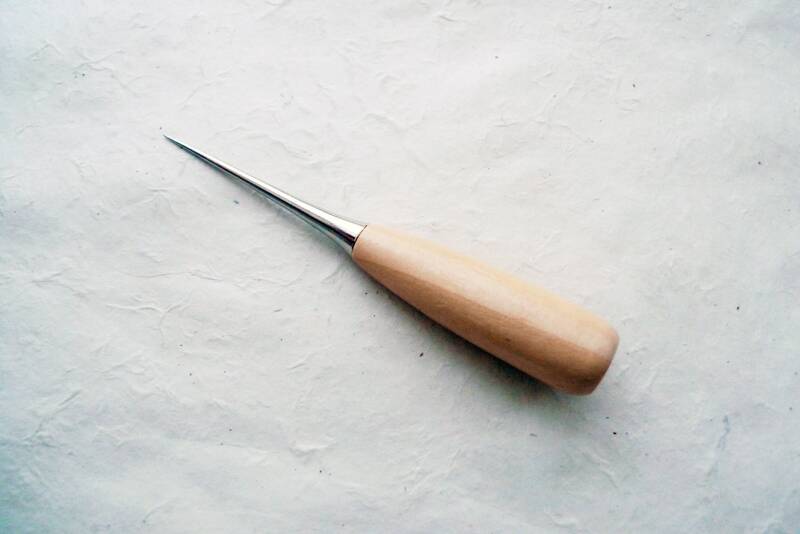 Tap the awl with a small hammer to penetrate heavier materials.